This is the 17th article from 中文天天读. “从来” is an adverb that indicates something is true from the past till present. It’s often used in a negative sentence. Dare you say that your son has never told a lie? “当……时候” indicates “the time when something takes place”. What is a white lie? What do you say a well-intentioned lie is? a female reporter who loves to look for trouble interviewed his mother. I am by no means an expert at chinese and would appreciate any feedback on this matter. I agreed with you in that the sentence, “你说过善意的谎话吗？” is better to be translated as “Have you (ever) told a white lie?”. I salute Chen Wenkuan and Dasod Yash for their translations as my level of Chinese is not good enough to understand the article. 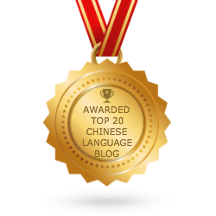 You all are ahead of me in learning Chinese even though I myself is ethnically Chinese. Does it has the same meaning as “What do you think what a well-intentioned lie is?” ?